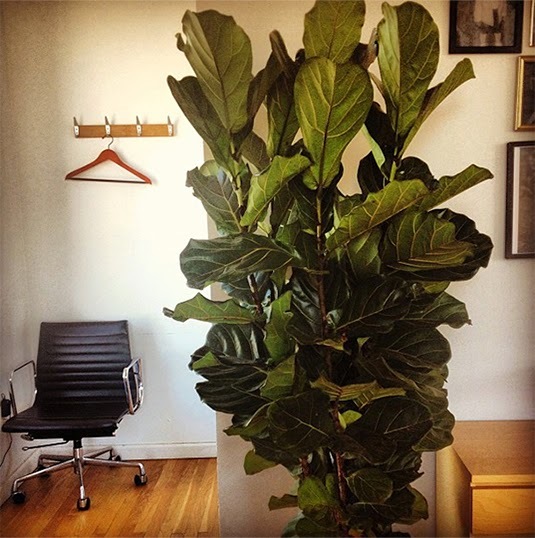 Ficus lyrata, commonly known as the fiddle-leaf fig, is a species of fig tree, native to western Africa, from Cameroon west to Sierra Leone. 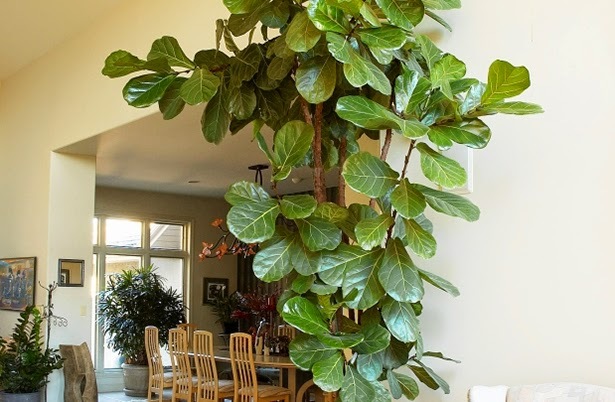 It grows in lowland tropical rainforest. 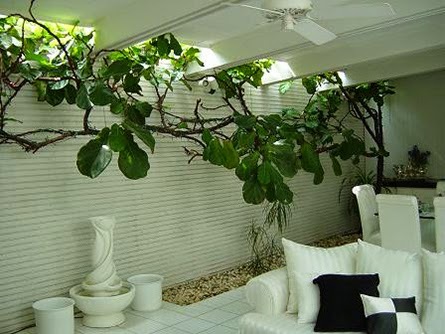 It is a banyan fig (Ficus subgenus Urostigma) that commonly starts life as an epiphyte high in the crown of another tree; it then sends roots down to the ground which envelop the trunk of the host tree and slowly strangle it. 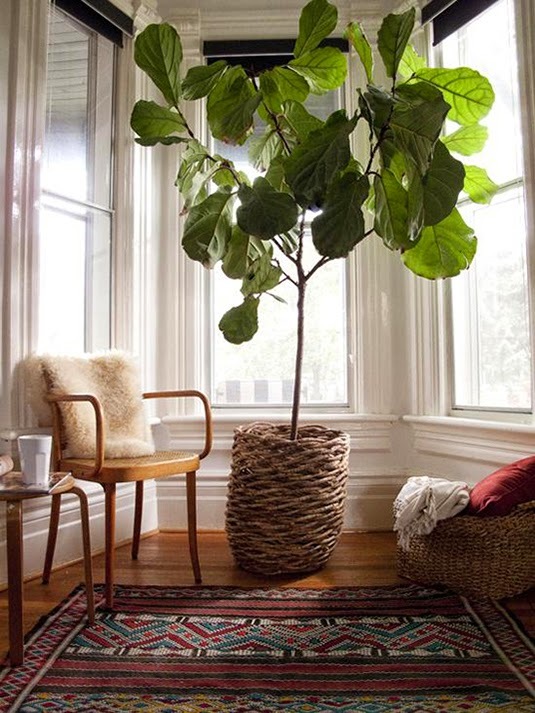 It can also grow as a free-standing tree on its own, growing up to 12–15 m (39–49 ft) tall. 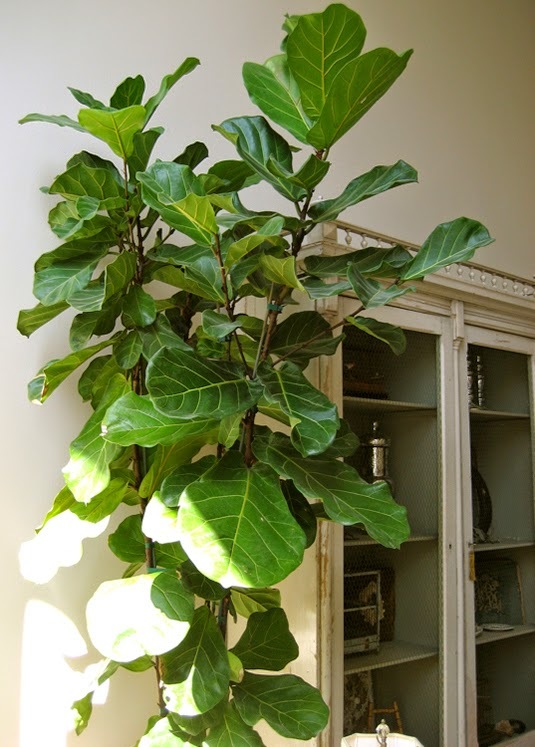 The leaves are variable in shape, but often with a broad apex and narrow middle, resembling a lyre or fiddle; they are up to 45 cm (18 in) long and 30 cm (12 in) broad, though usually smaller, with a leathery texture, prominent veins and a wavy margin. 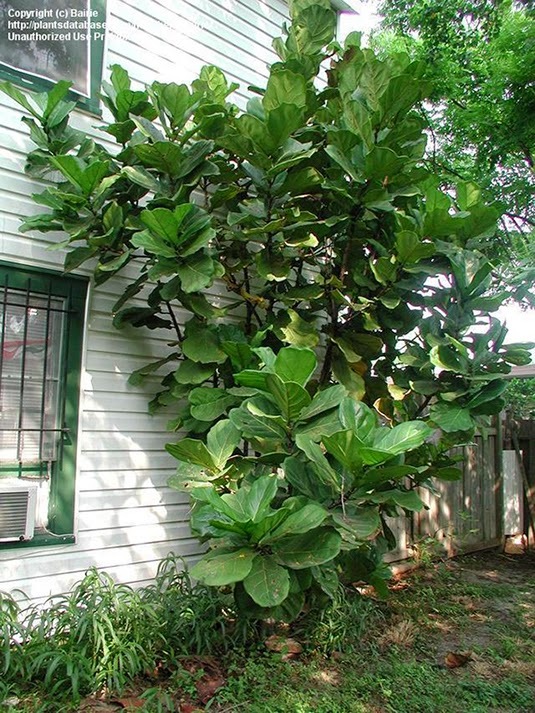 The fruit is a green fig 2.5-3 cm (1-¼ in) diameter.